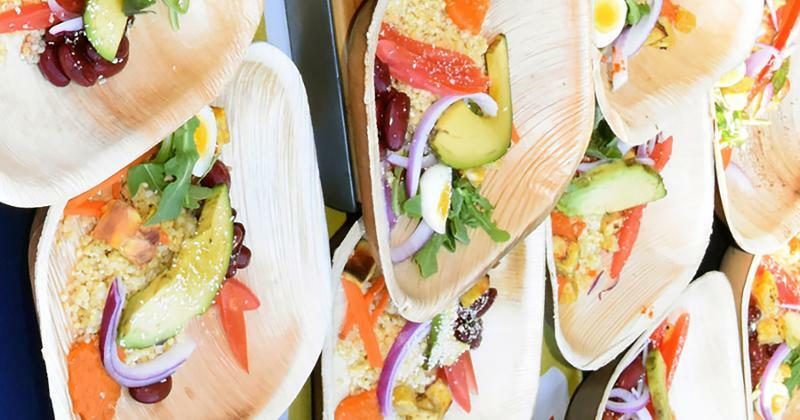 At the annual Menus of Change conference, held at the end of June at the Culinary Institute of America in Hyde Park, N.Y., guest chefs presented innovative plant-forward dishes. All were created to promote deliciousness along with health and sustainability. These three recipes fulfill that mission. Ghanian chef Atadika, owner of Midunu House restaurant in Accra, Ghana, celebrates native West African ingredients on her menu. 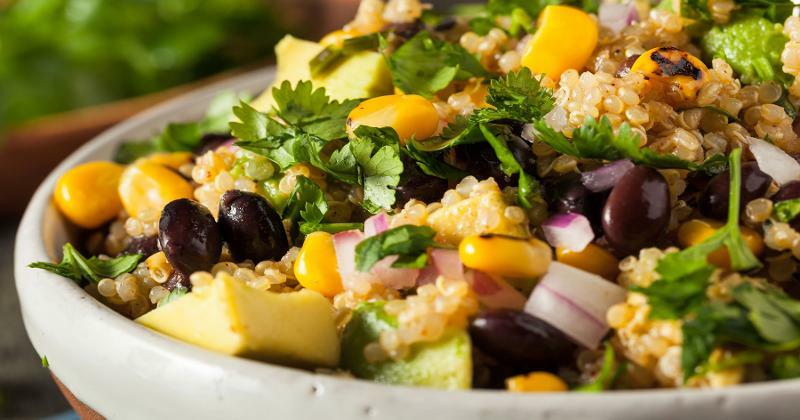 Ancient grains, beans and produce take center stage, as demonstrated in this African-inspired plant-based bowl. Atadika uses a native grain called fonio, but sorghum, millet or brown rice can be substituted. Pickled carrots, chili paste and tomato stew pump up the flavor. At Ray, an Israeli restaurant in Portland, Ore. chef/owner Lewis serves up small and large plates with global flavors. 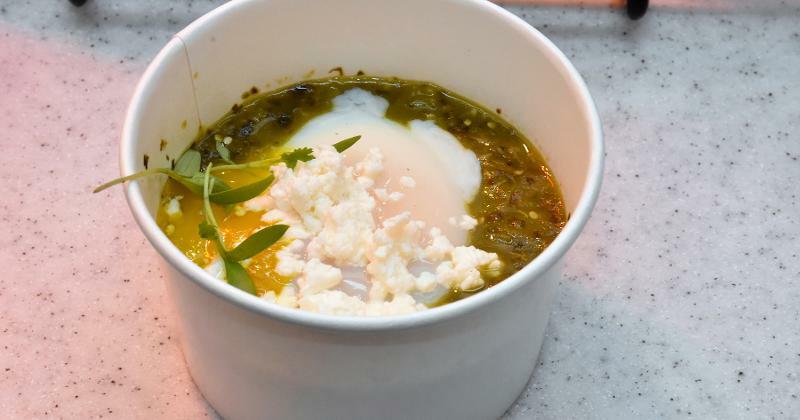 Shakshuka is typically prepared with eggs poached on a layer of cooked tomatoes, but this version is presented on a bed of cooked spinach seasoned with cumin, coriander, caraway, turmeric and garlic. It makes for a colorful brunch dish or veg-centric supper. The popularity of the blended burger—a mix of ground meat with chopped mushrooms—has spawned other blended recipes like this Japanese-style meatball called tsukune. Chef Clenard combines ground pork with cremini mushrooms and quinoa, cutting back on the meat portion for a more plant-forward spin. 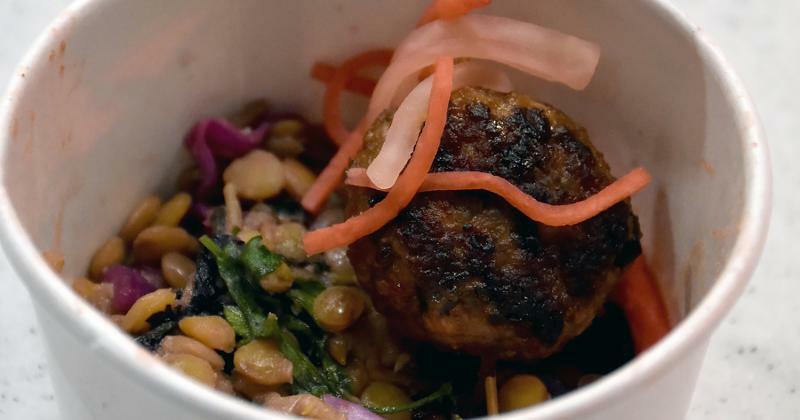 He adds more plants to the mix by serving the skewered tsukune with a lentil salad.